We're using technology to help us operate more efficiently and reduce our carbon footprint. But what if we also deployed technology that helped our customers do the same? That's the concept behind our 10x Carbon Reduction goal. AT&T recognizes that climate change is a problem — and we’re working to be part of the solution. We know that our technology can help customers reduce their carbon emissions. We set a goal to enable carbon savings 10x the footprint of our operations. We’re calling this our 10x Carbon Reduction Goal, or more simply, our “10x” goal. To meet the goal, we’re making our network more efficient and delivering services that help AT&T customers avoid carbon emissions. AT&T is also teaming up with companies to measure the carbon savings of specific products by using the measurement tool. We will publish these case studies to this website as we complete them. We are excited to uncover the innovative — and sometimes unexpected — ways that our customers are changing their company and our communities for the better. 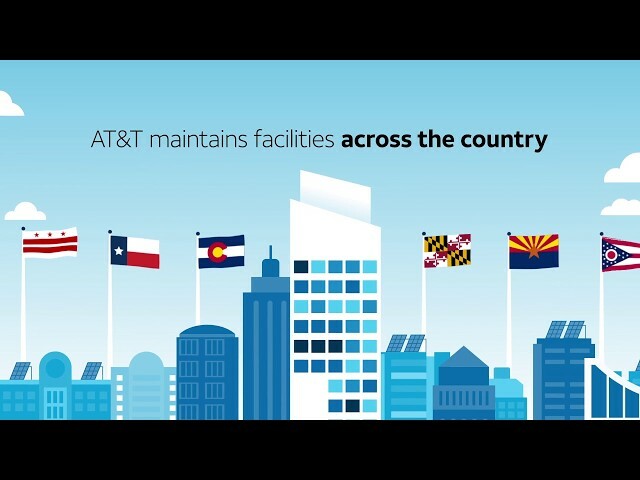 Redaptive® utilizes AT&T IoT connectivity to provide Efficiency-as-a-Service (EaaS) to more than 600 buildings in the US. It has reduced annual electricity use by almost 160 million kilowatt hours, equivalent to avoiding the GHG emissions from consuming almost 10.7 million gallons of gasoline. Lineage Logistics® engaged ndustrial.io to optimize energy costs and usage at their warehouses. Using AT&T IoT connectivity to collect detailed temperature data, ndustrial.io combines temperature, energy and food throughput data to create heat maps, alerts and reports that enable Lineage to actively manage its cooling operations. Emerson's Grind2Energy device turns food waste into a nutrient-rich slurry that can then be turned into natural gas and fertilizer, instead of being hauled to a landfill. To increase scalability and ensure more food waste could be converted, Emerson turned to AT&T to integrate Internet of Things (IoT) solutions and robust reporting. 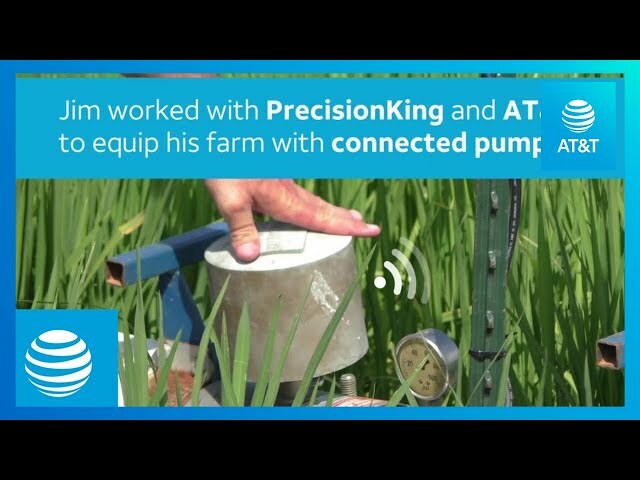 Lowe’s has teamed up with AT&T and HydroPoint® to install a connected smart irrigation solution at nearly 1,000 stores nationwide. The solution is saving about 650 million gallons of water a year and reducing carbon emissions by almost 750 metric tons of CO2e. At the end of 2017, 27,000 pieces of AT&T building equipment across 250 cities were reducing electricity expense by about $925,000 and GHG emissions by 5,150 metric tons in 2017. In 2017 alone, this program has enabled AT&T to save almost $20 million on electricity bills and avoid carbon dioxide emissions equivalent to 21,000 cars. 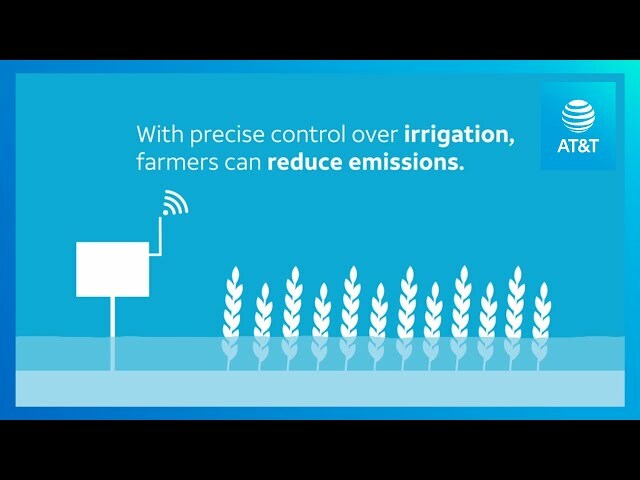 Connected water-level sensors and pumps are helping rice farmers realize water savings of 60% and greenhouse gas emissions reductions. Connected pallets have the potential to avoid 640 metric tons of CO2e for every 1 million pallet trips. Currently, there is no official standard methodology to measure how products can help reduce carbon emission. So we worked with the Carbon Trust and BSR, two leading non-government organizations with extensive experience in this area, to build a guidebook for measuring progress against our 10x goal. We’re also a member of the Net Positive Project, a group looking to create “net positive” efforts like our 10x goal that put back more into society, the environment and the global economy than they take out.